Our second shortlist in the 2016 Coffee Spot Awards is the “Best Takeaway Coffee” Award, which was won last year by Notes, Canary Wharf. It recognises those places which, braving the elements, still produce an excellent cup of coffee. This includes coffee carts, coffee stalls, those Coffee Spots which are so small that they only serve takeaway coffee and those Coffee Spots where I regularly get my takeaway coffee (even if they offer a regular sit-in option). In fairness, I don’t feature a lot of takeaway places on the Coffee Spot, partly because, for me, a lot of what makes a good Coffee Spot is the atmosphere. This can be hard to achieve at a stall when you’re serving your coffee in a paper cup (another bugbear of mine; so these days I always take my own cup with me!). However, there are plenty of great takeaway places out there, serving excellent coffee, so don’t be afraid to give them a try. I’ve known Edy Piro of Terrone & Co for a long time, so a visit to where it all started, the stall in Netil Market, Hackney, was long overdue. Serving some excellent coffee, all roasted in-house, from a container just inside the market gates, Terrone loses nothing for being outdoors in all weathers. As well as espresso, there’s batch brew and a wide range of alcohol too! A newcomer this year, Birmingham’s Upstairs Coffee seems, at first sight, to be a bit of a misnomer, since it’s located on the ground floor. However, it is upstairs from the cocktail bar in the basement, hence the name. Serving some excellent espresso-based drinks, Upstairs Coffee is also shortlisted for the Smallest Coffee Spot and Most Popular Coffee Spot Awards. Another newcomer, Newcastle‘s Hatch Coffee is in a disused parking attendant’s hut. Despite the cramped surroundings, Hatch serves a varied menu of espresso-based drinks, including decaf. Hatch is also shortlisted for the Most Popular Coffee Spot Award. 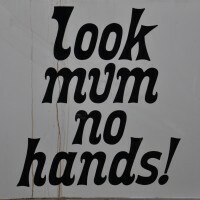 Now looking like a permanent (summer) fixture on the South Bank, the Look Mum No Hands! Pop-up was back from another year under Hungerford Bridge. Each year the fit out seems to get bigger and better, but the core remains the same: excellent espresso-based drinks, plus alcohol and an interesting selection of hot and cold food. Look Mum is also shortlisted for the Best Outdoor Seating Award. Another newcomer this year is Pitch, which opened its second branch in Fulham Broadway station, where it takes on all comers, including a couple of the national chains. Pitch serves up an espresso-based menu, with decaf on a second grinder. Pitch has an astonishing seven types of milk-substitute, plus there’s seating at the horseshoe-shaped, tiled counter, which includes power sockets. Pitch is also shortlisted for the Best Coffee Spot near a Railway Station and Most Popular Coffee Spot Awards. Jake’s Coffee Box serves coffee from a telephone box of all places, supplying the good people of Birmingham with fine coffee in all weathers. Jake’s Coffee Box is also been shortlisted for the Most Unlikely Place to Find a Coffee Spot Award. Another newcomer this year, Cornwall’s Origin continues its take over of London with a delightful coffee bar in the foyer of the British Library. Serving an excellent range of single-origin coffee, including espresso, aeropress and bulk-brew filter, it’s reason enough to visit the British Library by itself. 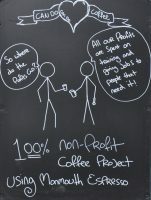 Can Do Coffee is a not-for-profit social enterprise which aims to provide a route back to work for various disadvantaged people. Along the way it is serving some excellent coffee from a small container on the side of Regent’s Canal, just outside the rear entrance to Paddington Station. Although predominantly a takeaway place, there is also canal-side seating. Can Do Coffee is also shortlisted for the Best Coffee Spot near a Railway Station Award. 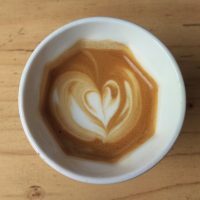 Located in the front of a churchyard between Victoria and Whitehall, Rag & Bone Coffee is a welcome oasis of speciality coffee in area that has been sadly lacking in options. 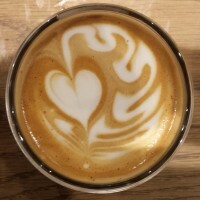 Another which serves its coffee in all weather’s Rag & Bone has a rotating cast of single-origin beans on its espresso machine, all served with a cheery enthusiasm which defies the elements. 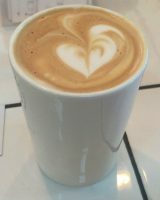 Rag & Bone is also shortlisted for the Coffee Spot Special Award. A perennial favourite, Beany Green on Regent’s Place is still one of my go-to options for takeaway coffee (despite the inside seating and the wonderful deck chairs) whenever I am in the area. You can always be sure of a cheerful greeting, and the food is just as wonderful as the coffee. 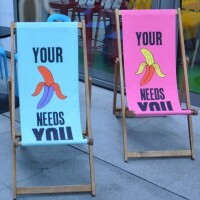 Be sure to stop long enough to admire the amazing artwork from the inspirational Shubby (who did the deckchairs). 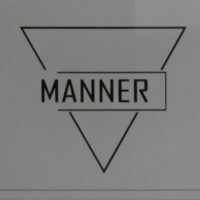 One of the more surprising places I found on my first ever visit to Shanghai this year was Manner Coffee, literally a hole-in-the-wall on a Shanghai Street. However, it’s reputation is such that there is always a queue. 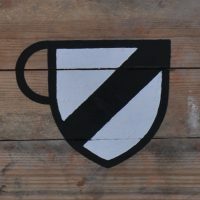 Not content with serving excellent coffee, Manner also roasts all of its coffee, with a staggering array on offer, including espresso, pour-over and a range of beans to buy. 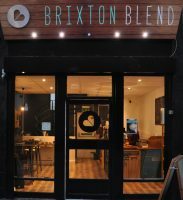 Another newcomer this year, Brixton Blend is spread out over two floors of a unit near Brixton Underground Station. Despite all this space, Brixton Blend is aiming, for now at least, for the takeaway market, with a choice of two espresso blends, decaf and a single-origin on bulk-brew. 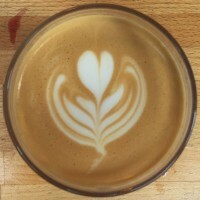 Brixton Blend is also is shortlisted for the Best Coffee Spot near a Railway Station and Happiest Staff Awards. Runners-up: Can Do Coffee, Paddington and Origin at the British Library.